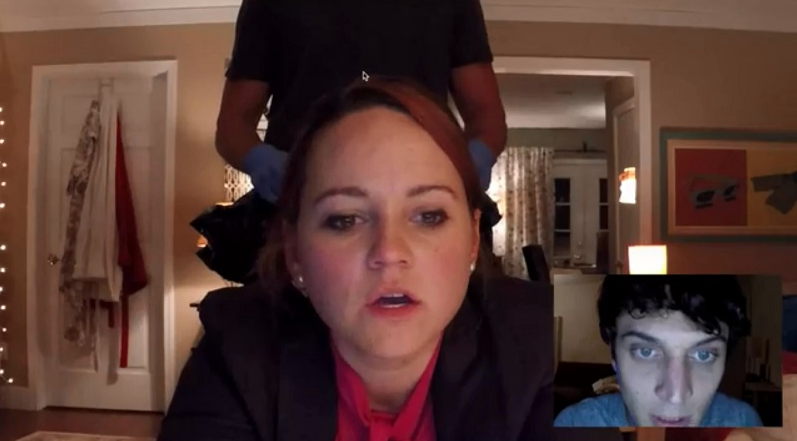 2015’s Skype nightmare “Unfriended” might have sounded like a ludicrous conceit—the invincible specter of a bullied teen who committed suicide gets revenge on her peers in a Skype chatroom—but it was riveting, smartly executed, and destined to open up a conversation about the real-life, of-the-moment horrors of cyberbullying. 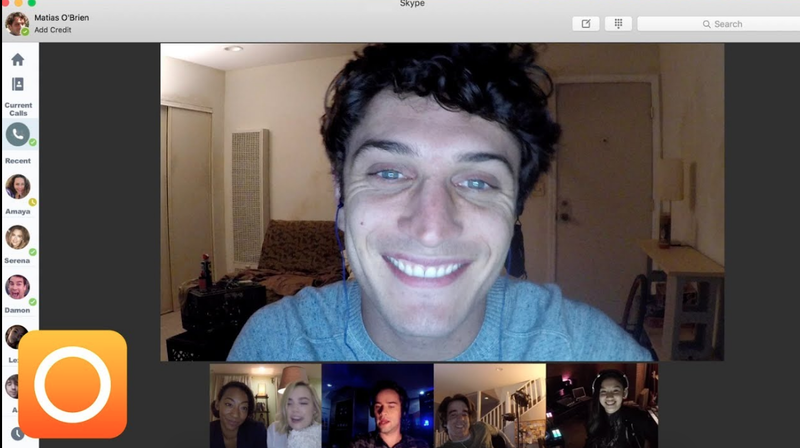 It was only a matter of time before a sequel would be greenlit, and now there’s “Unfriended: Dark Web,” an in-name-only sequel with only one connection to its predecessor: it unfolds entirely on someone’s laptop screen via a Skype session. To vary the execution a bit, debuting director Stephen Susco (writer of 2004's "The Grudge") ditches the supernatural angle and stinging comment on the cyberbullying culture for a more plausible, real-world approach. The end game, though, is a mixed bag: it’s effectively disturbing on a momentary level, but also increasingly preposterous and more simplistic. Matias (Colin Woodell) finds a laptop from a cyber cafe’s lost-and-found, using it to perfect an American Sign Language translation software he’s been working on to communicate better and make up with his deaf ex-girlfriend, Amaya (Stephanie Nogueras). When Amaya won’t accept his apology, Matias signs on to Skype with his group of friends—British techie Damon (Andrew Lees), disc jockey Lexx (Savira Windyani), conspiracy theorist AJ (Connor Del Rio), and recently engaged couple Nari (Betty Gabriel) and Serena (Rebecca Rittenhouse)—for a game of Cards Against Humanity. Amidst Matias’ multitasking, he logs into the Facebook account of the laptop’s former owner, “Norah C. IV,” and begins receiving instant messages from “Erica,” who at first claims to be Norah’s friend and then admits to being Norah herself. Matias soon realizes that the so-called Norah wants her laptop back, but then uncovers a cache of files that are essentially snuff videos of young women being tortured and chained up in industrial warehouses. As Matias enters the dark web, he dooms himself, his five friends and an unsuspecting Amaya, and makes anyone else around them collateral damage. Because the cyber killing is more random and yet so elaborately engineered, “Unfriended: Dark Web” packs less of a punch than the personal revenge and every teen’s culpability of the first film. 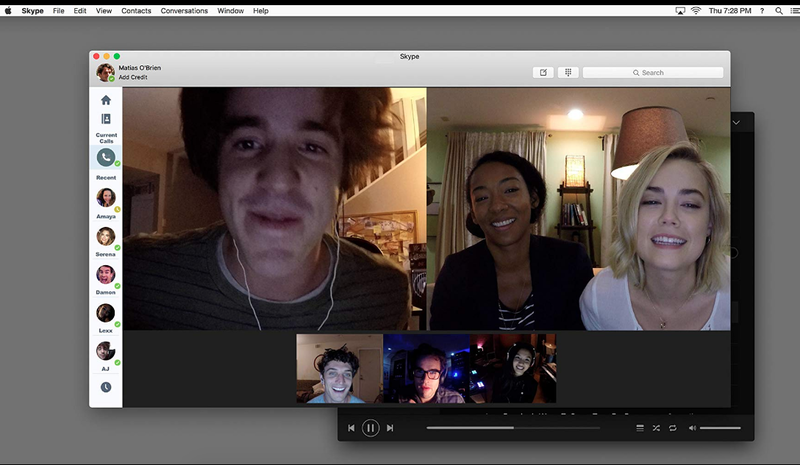 The narcissistic teens of “Unfriended” got what was coming to them, while these young adults just get pulled into a nightmare because of a foolish mistake Matias makes. Opening with an amusing password hack, the film still demonstrates the clever format of watching everything the protagonist does on his screen, and the incoming messages still hold a sinister threat once Matias gets more than he bargained for with the stolen laptop. The existence of a deaf character is a fresh addition, and in the film’s most emotionally raw moment, one of the friends is also faced with the choice of choosing between two loved ones, including their mother who’s on life support. The performances are all more than competent, Betty Gabriel (2017's "Get Out") and Rebecca Rittenhouse (TV's "The Mindy Project") particularly standing out as a recently engaged couple. “Unfriended: Dark Web” is yet another cautionary reminder that the web can be a dangerous place. It’s fairly involving for the remainder of its running time and may be ostensibly more probable than its predecessor, but the filmmakers still insist the viewer takes quite a few leaps of faith as far as how seamless the inner-workings of a global dark-web conspiracy go. While there are several reveals, writer-director Stephen Susco doesn’t quite know how to stick the landing, ending with such a whimper that the immediate reaction might be, “Is that it?” A horror film should shock and rattle, but this follow-up is little more than a misery generator. Without much else to say beyond the obvious, “Unfriended: Dark Web” is pointlessly mean, nasty and cruel with no hope for anyone, except for the murderous cult of all-seeing, all-knowing hackers who will likely strike again.